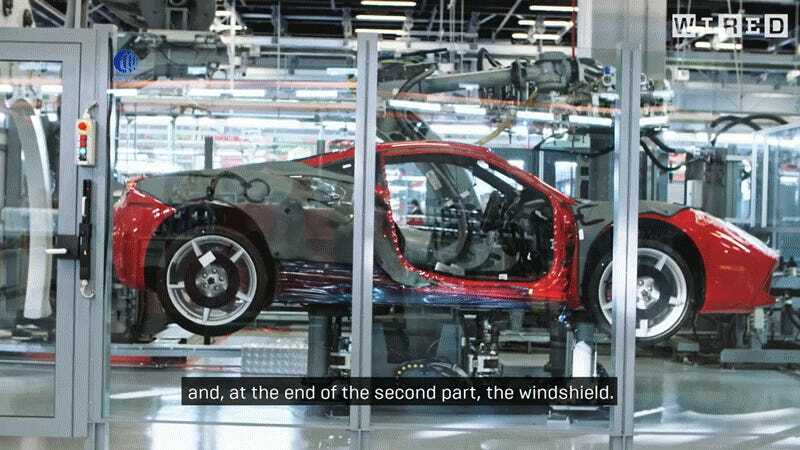 For a manufacturer that prides its cars as being built with that famed Italian passion, it’s remarkable how many machines are present on the floor of the Ferrari manufacturing plant. Obviously, all cars require some kind of machine assembly at some point. I just didn’t expect to see them used quite so extensively on a Ferrari. Regardless, it’s mesmerizing to watch. And the factory is so clean! Makes you feel extra worse when someone crashes a Ferrari.